Some of the finest views, picnic spots and beaches on the Island are best enjoyed by bicycle. For instance, most of the Island’s western shore, with its superb views across Langstone Harbour and unrivalled birdwatching, is only accessible by bike on foot or on horseback. And cycling along Hayling’s seafront lets you enjoy the excellent beach facilities without having to pay parking charges. 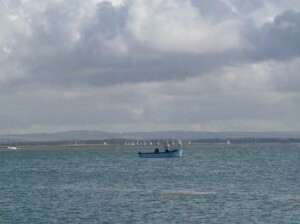 The Island is easy to get to by bike, whether coming by ferry from Portsmouth or over the bridge at Langstone. The passenger ferry, which takes bikes, runs regularly throughout the year between Eastney in Portsmouth to Hayling’s Ferry Point. Here you can stop at the local pub or beach café to watch the boats battling the tide through the harbour mouth. 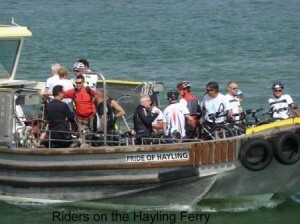 (For ferry information phone 07500 194854, or on the web, www.haylingferry.net). If travelling by train, the Hayling Billy Leisure Trail, which is an excellent off-road shared cycle path, runs directly from Havant Railway Station to the bridge at picture-postcard Langstone. Note that the trail crosses the main road once. The road bridge offers fantastic views, and cyclists can share the pavement. If the prevailing south westerly wind is blowing hard, however, children or inexperienced cyclists may prefer to walk their bikes across. 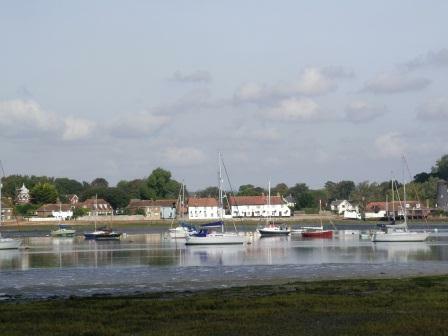 Once on the Island, the Hayling Billy trail continues south beside beautiful Langstone Harbour, practically all the way to the seafront. You have a great choice of cycling on the Island, and The Cycle Map of Hayling Island shows three recommended rides, each colour-coded (click here to download a copy). The blue ‘Harbour View’ ride along the Hayling Billy trail is perfect for families, because it is off-road with numerous scenic picnic spots. For its choice of refreshment stops you cannot beat the yellow ‘Seafront Circuit’. You can make this ride as long or short as you wish, but to enjoy one of the best views on the Island, go that extra mile to cycle along the shared cycleway east from Eastoke Corner to Sandy Point. Here you can continue around the point to the Lifeboat station overlooking fabulous Chichester Harbour and the distant South Downs. The green ‘Rural Ride’ through Northney village is a complete contrast, winding through the picturesque countryside of the less-visited north of the Island, where you can also enjoy a choice of cream teas!A new off-road shared-use path opened in spring 2013. This route, which currently appears on the Cycle Map just as a footpath, runs along the western boundary of Tournerbury Golf Course with a great outlook across open countryside towards Chichester Harbour. The full-size Cycle Map, produced by Cycle Hayling, is also available free of charge from numerous outlets on the island including the ferry and Beachlands Visitor Centre. 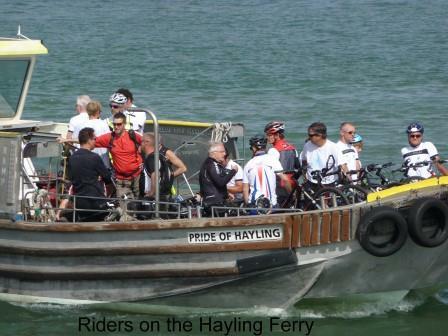 An extra-large version of the map also appears on Cycle Hayling signboards stationed strategically around the Island, including at The Ferryboat Inn and each end of the Hayling Billy trail on the Island. For cyclists keen to explore further by bike, Portsmouth CTC (www.portsmouthctc.org.uk/) runs a range of rides every week on the mainland. Destinations include the South Downs National Park, the scenic Meon Valley and along the coast to Chichester. The Island University of the Third Age (U3A) also organises a monthly cycle ride. Details of these and other rides are advertised on our home page. Havant Borough Council publishes a cycle map covering the whole Havant area, from Hayling Island seafront to the edge of the South Downs. Portsmouth City Council also publishes several maps of cycle rides that include Hayling Island or are within easy reach of the ferry to Portsmouth. Copies of all maps are available at Beachlands Visitor Centre and online from the Havant Borough cycle page and Portsmouth City cycling page. There are two BMX bike areas on Hayling Island: one at the southern end of the Hayling Billy Trail, behind the Station Theatre, the other at the skate park on the seafront near the Inn on the Beach.